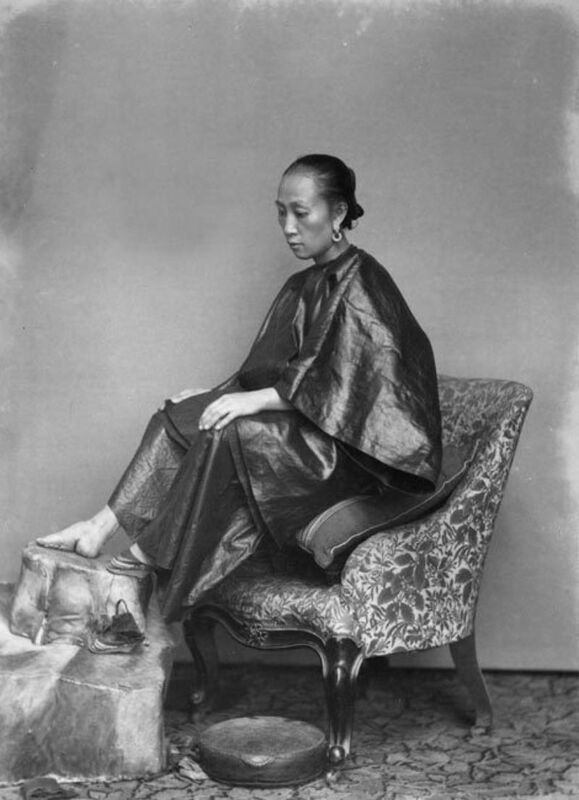 Foot binding or bound feet was a custom practiced on young females for approximately one thousand years in China, from the tenth century until the early twentieth century. 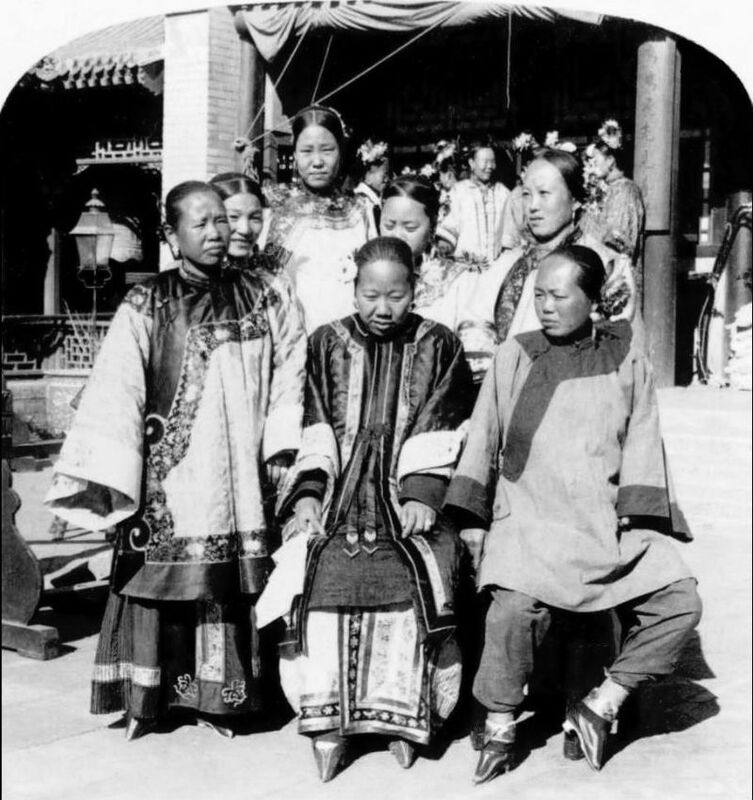 The practice originated among entertainers and members of the Chinese court during the Song Dynasty (960–1279). 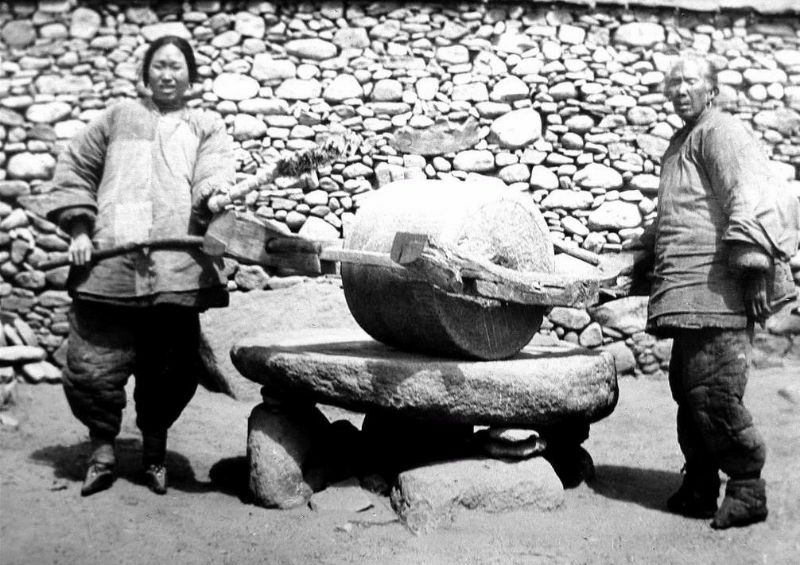 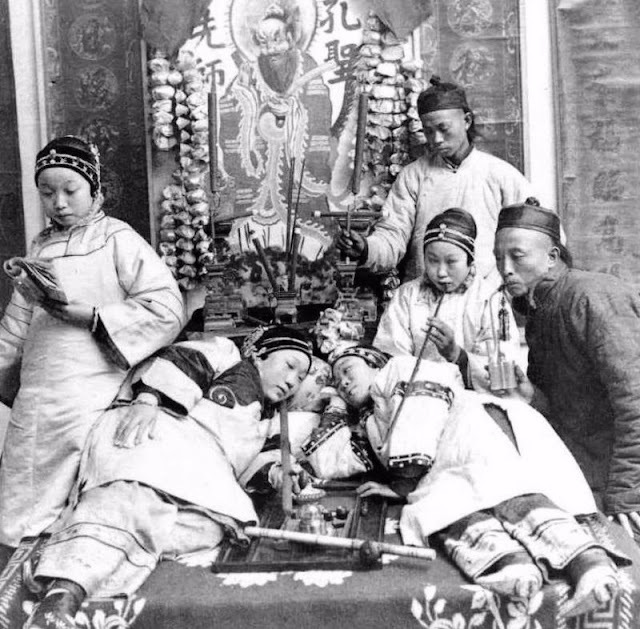 By the end of the Song dynasty, the practice had spread among the families of the scholarly class which governed China. 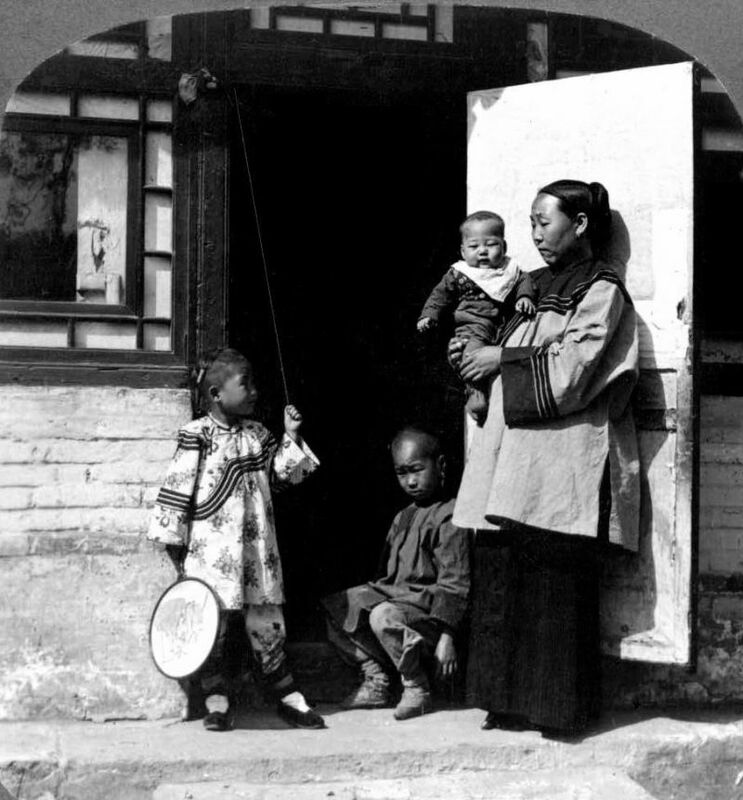 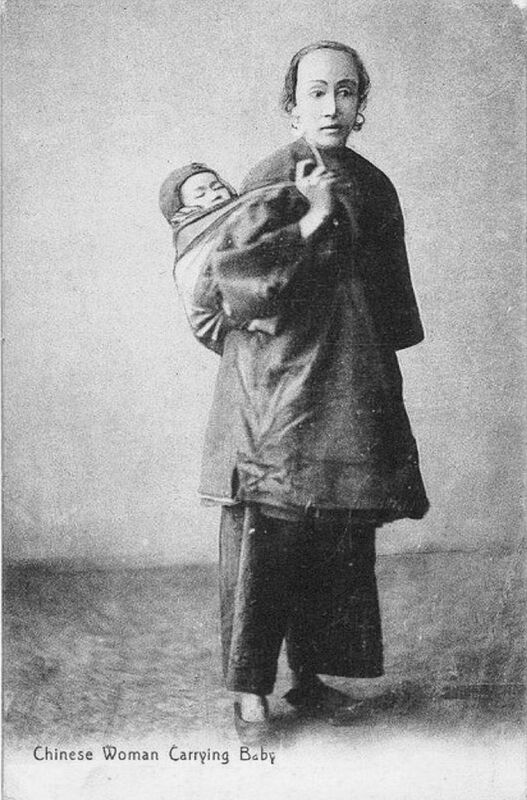 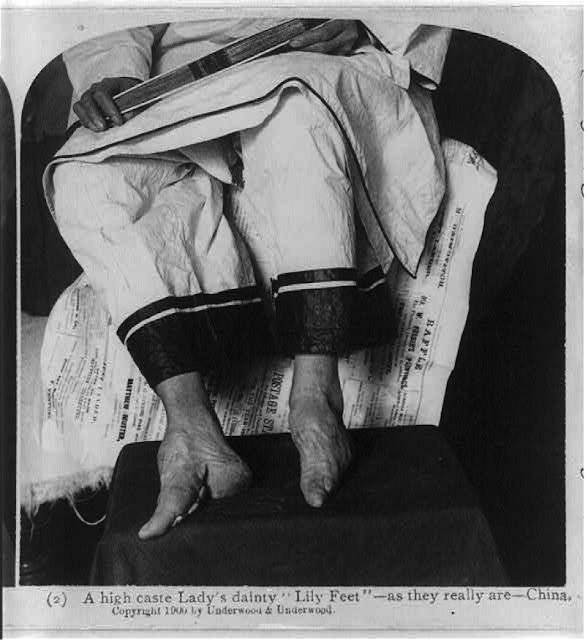 Initially, foot binding was common only in the wealthiest parts of China, particularly in northern China. 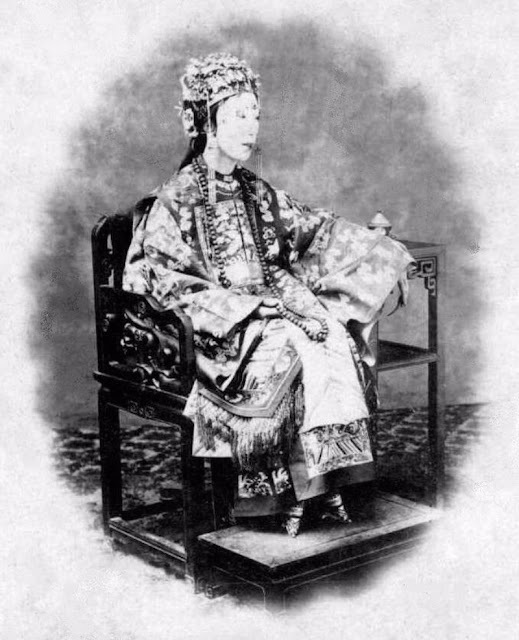 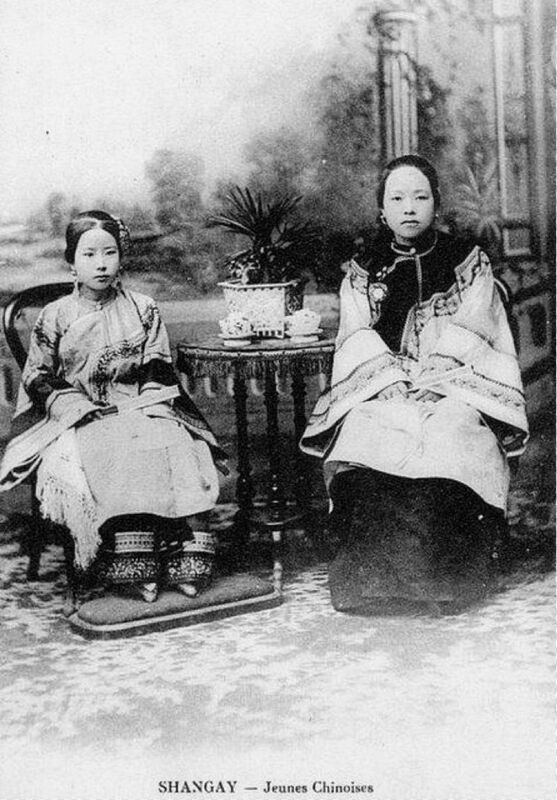 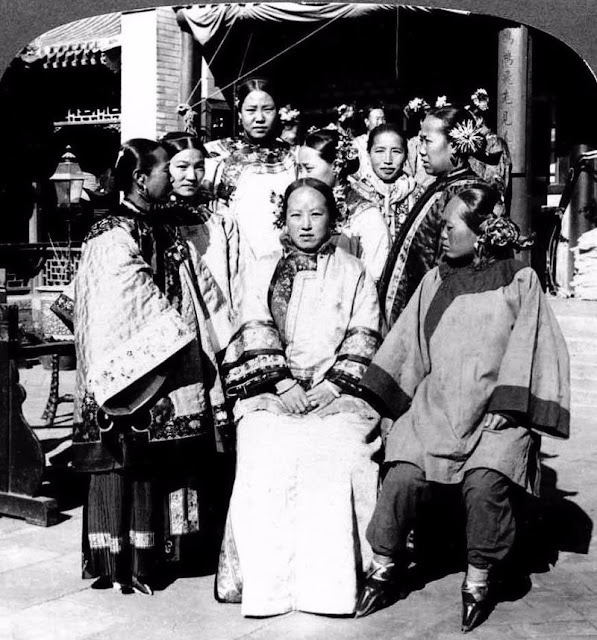 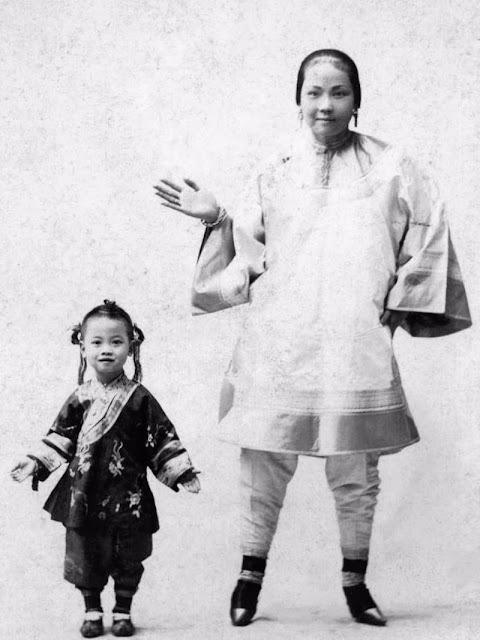 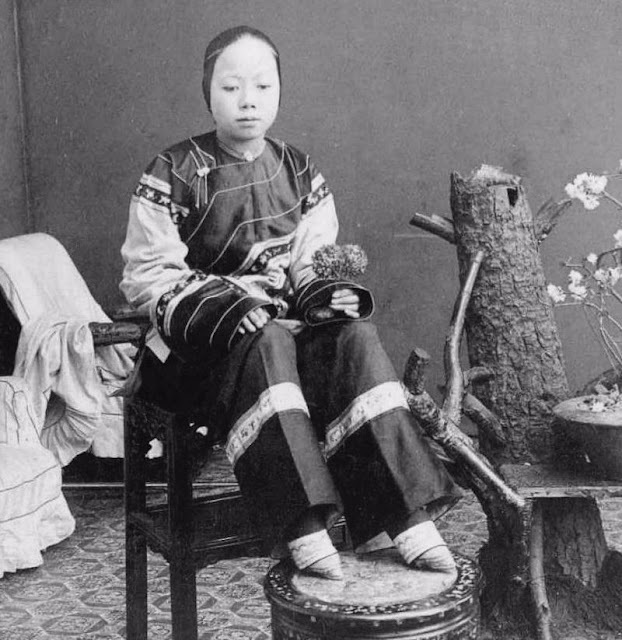 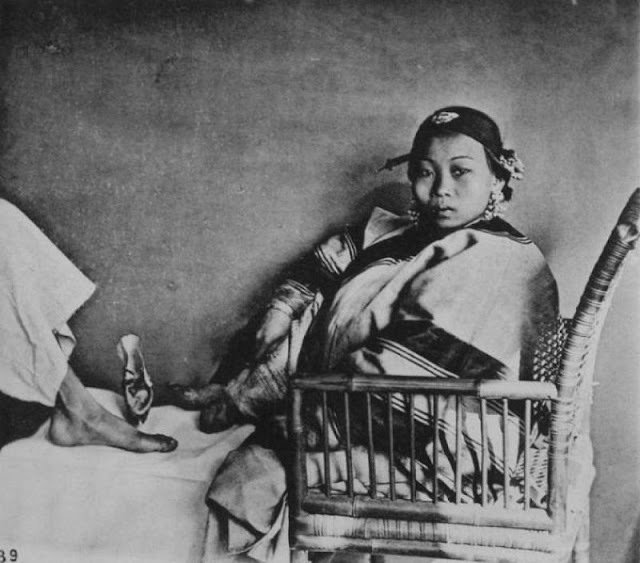 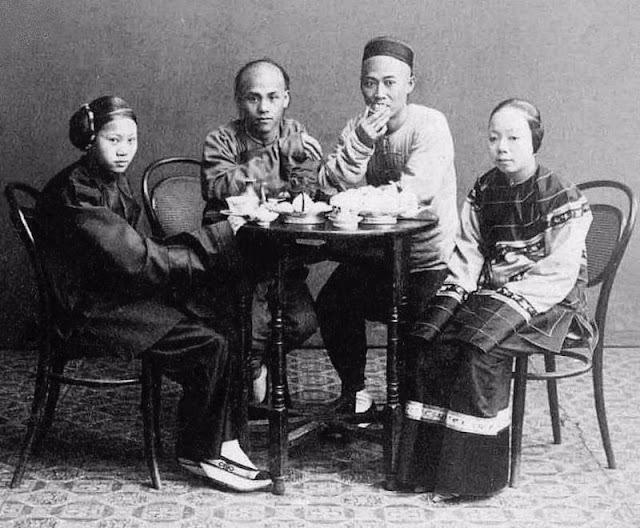 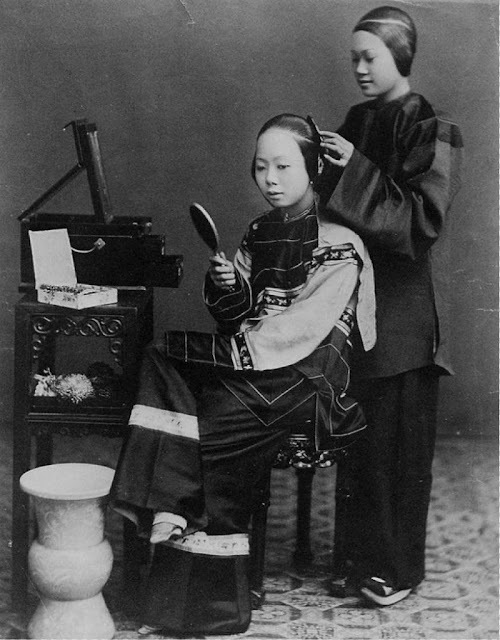 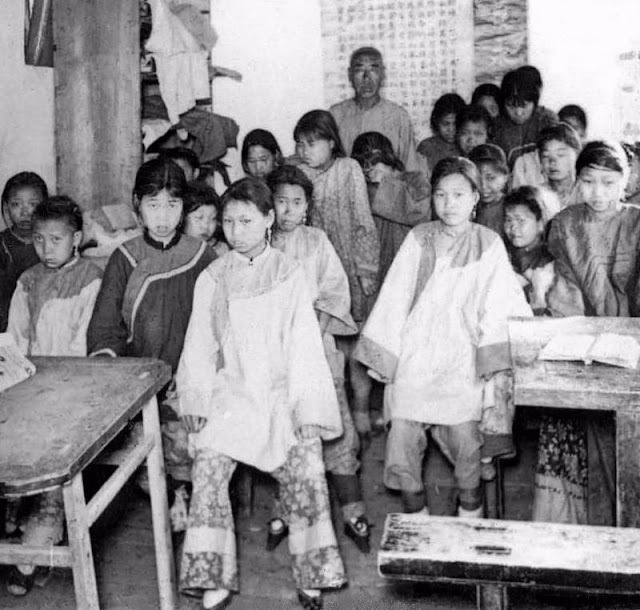 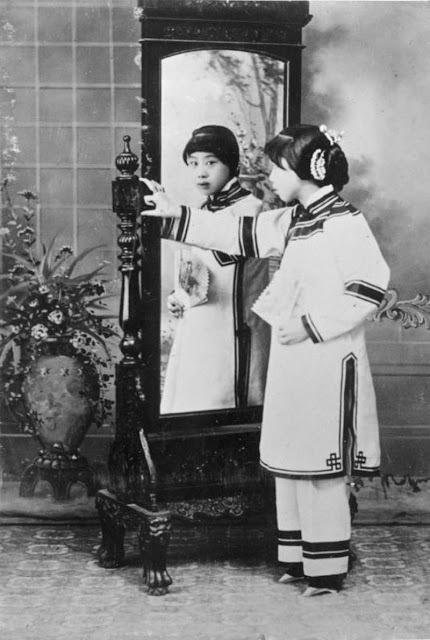 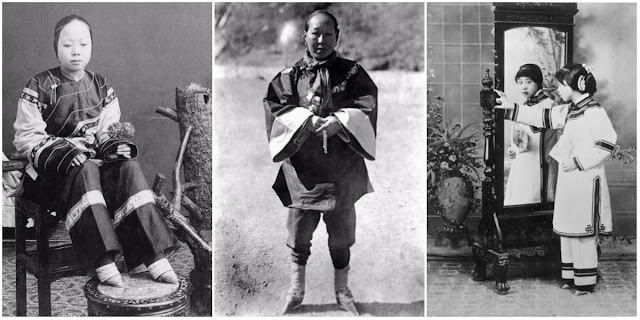 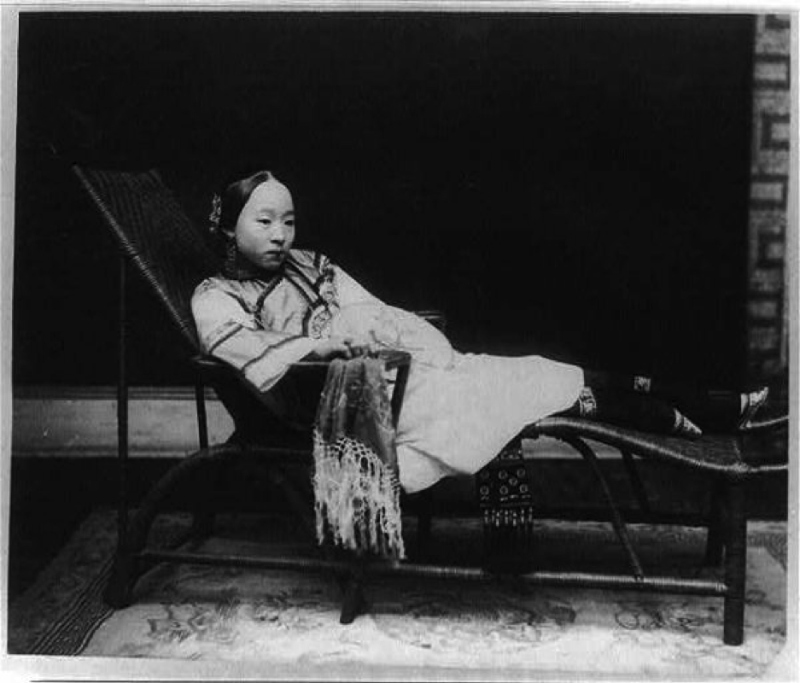 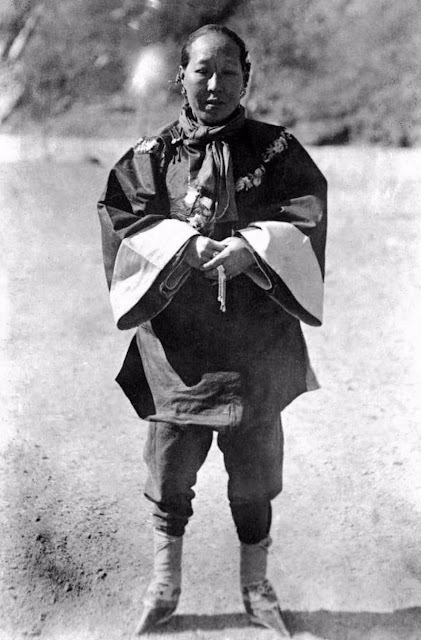 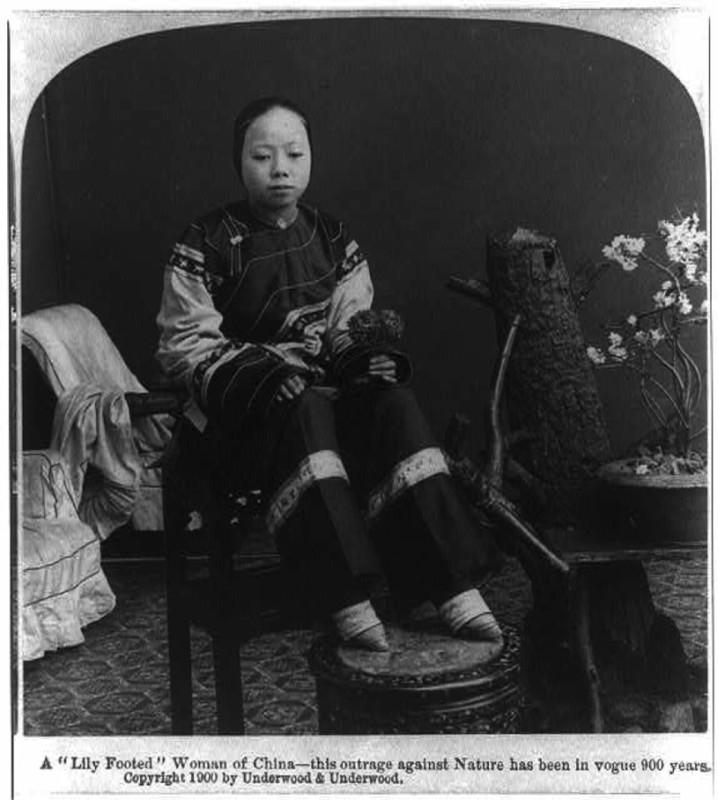 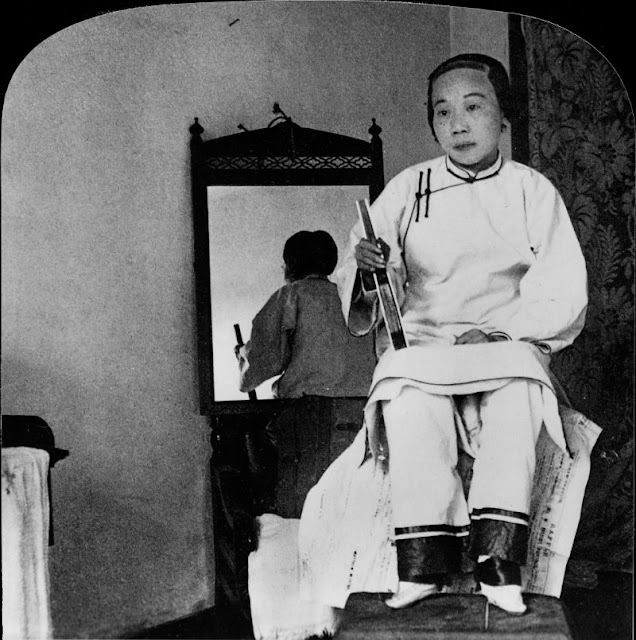 However, by the late Qing Dynasty, foot binding had become popular among people of all social classes except the poorest, who needed able-bodied women to work the fields. 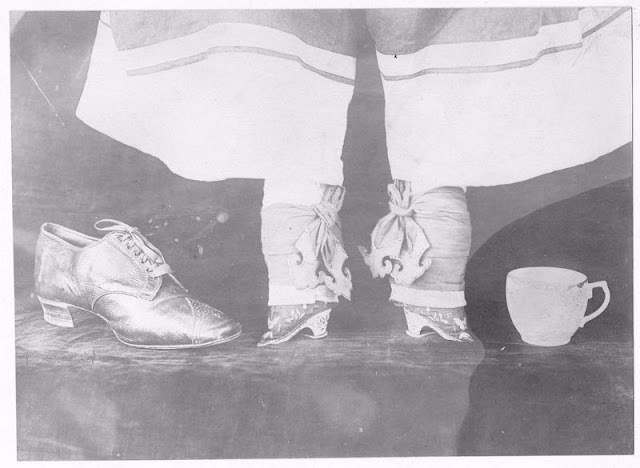 Women with bound feet wore special, tiny shoes decorated with beautiful embroidery. 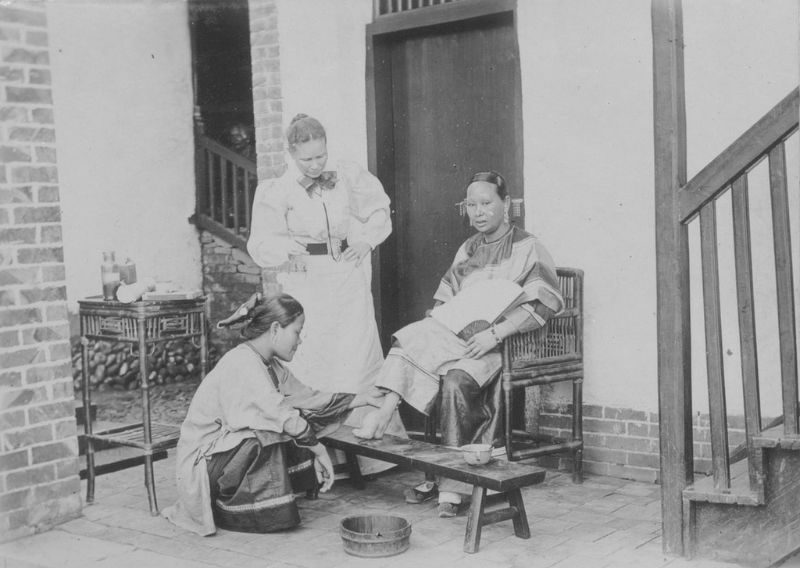 Since they were unable to do labor, the tiny feet were a symbol of privilege and wealth. 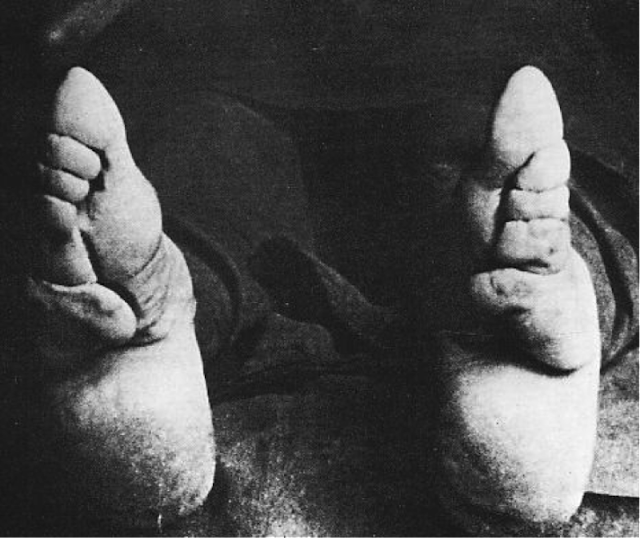 Girls with small, bound feet had a better chance of getting a higher bride price. 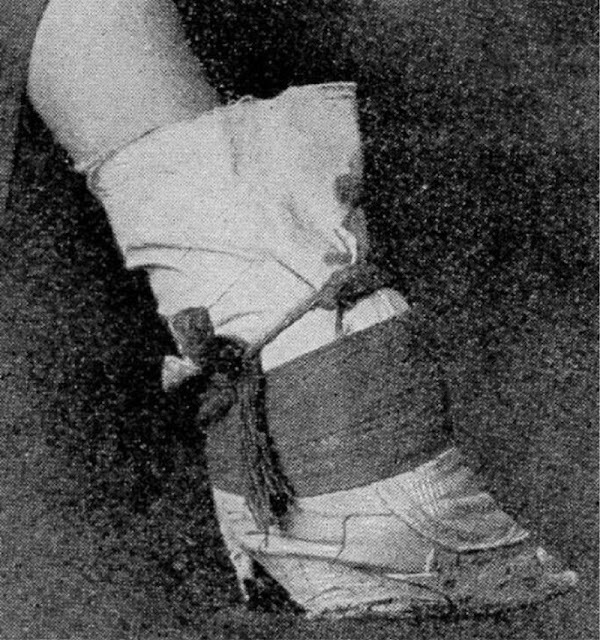 When a girl was between the ages of three and eight years old, the four small toes on each foot were folded over and bound tightly with long bandages, which were re-wrapped every one or two days. The pressure of the bandages caused the bones to break and force the arch upward into a form referred to as “lotus foot.” The feet would not grow any longer than 3-6 inches (10-15 cm), leaving the adult woman with small and dysfunctional feet. 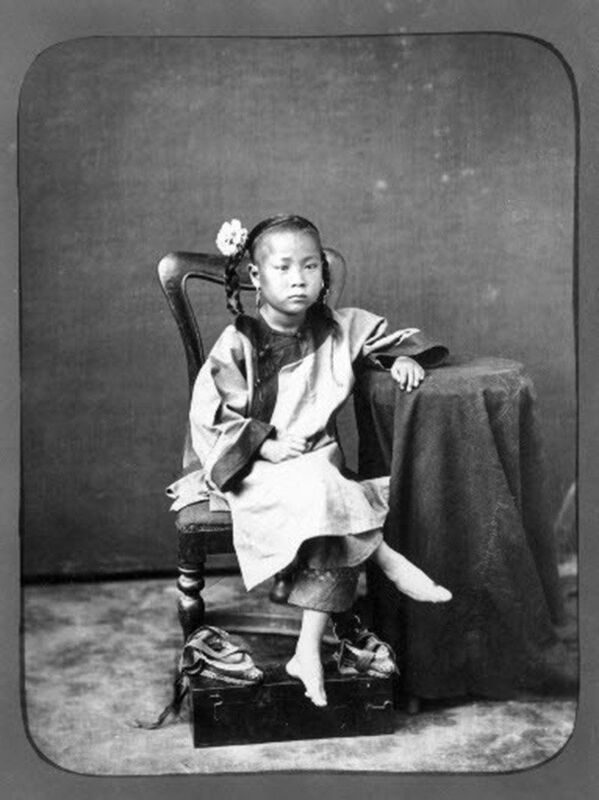 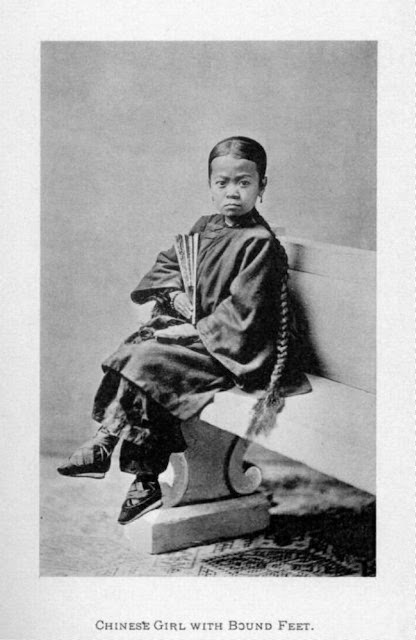 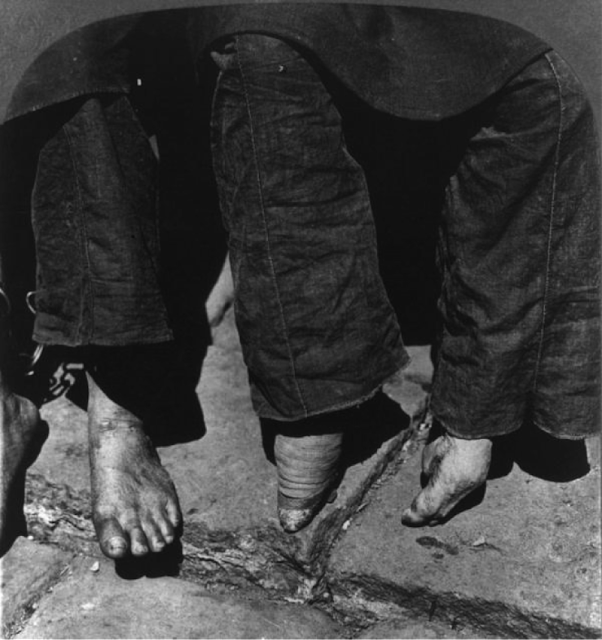 Foot binding finally ended during the twentieth century, when Chinese and Western missionaries campaigned against it, and it was prohibited by the nationalist and Communist governments.